Unfortunately, with the many pollutants in the world today, loss of minerals in the soil, poor food choices suggested to us by advertising, and the stress of our modern pace of life, most of us have not always given our body these pure and balanced materials. It is certainly true that “we are what we eat” but it is also true that “we are what we absorb.” This includes what we absorb from our food, our environment and our thoughts. For a body to truly remain healthy, it is vital to keep the cells healthy. Most supplements do not address the cellular condition of the body, and many supplements simply do not get absorbed at all. Nutrients need to be good quality, but it is also vital to keep the plasma that the cells are bathed in clean and pH balanced. Otherwise we compromise our cells, which go on to literally break down and ferment. Once the pH begins to become imbalanced, the cells change according to their environment and also start to stagnate and lose their vitality, strength and nutrients. How Does Green Organics Cell Vitality Bring Cellular Healing To Your Body? Good, healthy cells keep the rest of our body healthy but once we have toxins in our body, we need to detoxify. This can be done by cleansing protocols such as a colon cleanse and by detoxification protocols. The body naturally moves nutrients into cells and moves waste products and toxins out of cells, but cannot do this efficiently if the cells are dehydrated or at the wrong pH balance. If we become too clogged with toxins, the cells are not able to absorb nutrients. This is where Cell Vitality plays an important role. 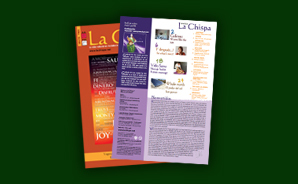 Green Organics product statements and/or testimonials have not been evaluated by the Food and Drug Administration. The Green Organics product line is not intended to diagnose, treat, cure, or prevent any disease. 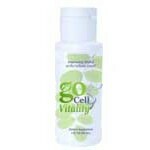 With Cell Vitality all the ingredients are not only desirable, but necessary for balanced health. Not only does Cell Vitality provide the right nutrients, it also releases nascent oxygen to destroy harmful toxins and microbial invaders, as well as gently balancing the pH of the cell matrix. It helps the body to repair itself and increases energy. Containing Trace Minerals and elements, enzymes, and amino acids in ionic form, Cell Vitality provides biologically available nutrients directly to the cells. And because of its ability to generate nascent oxygen and electrolytes at the cellular level, it continues to work for hours after ingesting. Cell Vitality dissociates water molecules in cells into hydrogen and oxygen by shifting and weakening the bonding electrons of water towards oxygen and away from hydrogen. The oxygen ions that are produced are negatively charged and they then bond with the positively charged free radicals, thus creating pure oxygen as well as eliminating harmful free radicals. Having enough oxygen is vital for cells to eliminate toxins and to clean up the inner environment as well as raise the energy levels of the whole body. Therefore, increased minerals, oxygen and electrolytes contribute to the detoxification of the lymph and surrounding tissues. Cell Vitality – The Support Your Body Needs! that is already there – much like the body’s immune system – which creates hydrogen peroxide, H2O2, and then naturally breaking it down when needed into water, therefore releasing oxygen to destroy harmful toxins and microbial invaders. Since the body is in charge of regulating the Cell Vitality reaction, Cell Vitality gives up all the nascent oxygen needed, but only exactly when and where the body needs it. Therefore, very health challenged people will get lots of naturally occurring oxygen from Cell Vitality, and a well oxygenated, inner cleansed person will get a smaller amount….just as the body needs. As Cell Vitality acts in a time released way, increasing slowly and reaching its peak 6-12 hours after ingestion, and since it is taken 3 times a day; an incredible cascading effect time releases the oxygen continuously, spreading through the body before being used up, therefore creating a self perpetuating cleansing and rejuvenating continuous system which ensures a more complete and slower burn of the terrible microbes and toxins that lay within. Burning them into basic elements that the body can then eliminate without severe detoxing reactions. This measured release of toxins is also supported with a steady intake of full spectrum ionic minerals, enzymes, and amino acids which permeate every part of the body – all necessary for building the immune system and repairing where needed. Everybody takes 11 months to fully heal, which would mean by taking Cell Vitality for 11 months straight, these nutrients provide the body with a fine quality base of most of the elements and nutrients needed to repair and heal. Cell Vitality takes the water in the body, the H2O, and breaks it down into hydrogen and oxygen, H2, + 01, and releases both into the body. Not only does this action release the nascent oxygen like all other oxygen therapies, unlike the other oxygen therapies, Cell Vitality also has the extremely important benefit of delivering this vital and necessary nascent hydrogen! The hydrogen is needed by the body for use in building and repairing the immune system and of course the body’s organs, its structure and cells. The Cell Vitality solution also delivers an easily assimilated ionic blast of aerobic proteins, amino acids, enzymes, trace minerals, electrolytes and dissolved oxygen. Most Oxygen products use mechanical or chemical methods to produce oxygen. When using the mechanical method, there is a limit to how much oxygen can be pumped into a liquid and held in suspension. Usually this is a small amount and it is not oxygen that is dissolved. It is oxygen that is suspended. There is a major difference between dissolved oxygen and suspended oxygen. When using chemical methods, there can be many problems in that the chemical content is not desirable and the oxygen can be a dangerous free radical. With Cell Vitality, the oxygen begins to be manufactured as soon as it is added into the water, and when ingested into the body, continues to generate, if needed, for up to 12 hours. Only one in five hundreds thousands of the available oxygen is utilized at one time and this reaction is continued for several hours. stored form. If a dissolved oxygen test were performed on Cell vitality, it would not show significant amounts of dissolved oxygen. Once a few drops of Cell vitality are added to water, disassociation of the water molecule begins to occur with liberation of the oxygen and hydrogen. A dissolved oxygen (DO) test performed would show a significant amount of oxygen, and the DO meter would continue to show DO over a long period of time. Cell Vitality generates nascent oxygen (newly born). That is a single atom of oxygen that is negatively charged. The nascent oxygen atom is attracted to the free radical- forming a molecule of pure oxygen. Many other oxygen products tend to flood the body with oxygen, creating free radicals, which can result in oxidative injury to biological systems such as lipids found in cell membranes. Cell Vitality scavenges and bonds with dangerous free radicals, providing the body with oxygen in a controlled and time released manner. One can see Cell Vitality working within an hour of drinking it. Over time, one can see a marked difference in energy levels, as the cells heal, lymph detoxification becomes more effective and pH balances. Long term benefits show themselves around 8 weeks of taking 3 times a day, depending on individual makeup. Green Organics considers it to be one of the most important dietary regimens to be included in your daily intake. Taking Cell Vitality along with the GO Cardio Extreme for advanced cardiovascular and immune system support is a powerful way to advance and maintain your whole body health.